We’re Closing Early Due to Blizzard – January 4th! With blizzard conditions until later today, we’re shutting down the office to get people home safely. If you have an emergency, contact us through the main number 800-rule-com. Be safe, everyone! 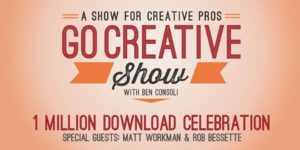 Don’t miss The Go Creative Show’s celebration of their one million downloads with a live podcast at the Podcast Garage on Thursday, Janaury 18th starting at 6pm. 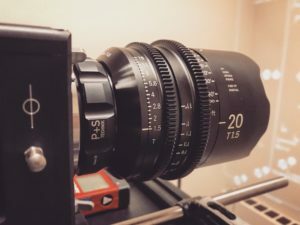 Host, Ben Consoli and producer, Matt Russell, welcome special guests Matt Workman (cinematographer and founder of Cinematography Database) and Rob Bessette (colorist) for a live panel discussion on video and film industry trends and predictions for the new year. Join the festivities with food, drinks (complimentary beer from Mighty Squirrel! ), prizes and surprises. We’ve been proud supporters of this engaging industry podcast, and we’re thrilled to raise a toast to their 1 millionth milestone! We’ll see you there! Doors open at 6 p.m. for a pre-show mingle with food and refreshments. The live show begins at 7:30 p.m. Tickets are free and required to attend this event. Click here to get your free ticket via their Facebook event page. Complimentary beer for this event is provided by Mighty Squirrel (we love their motto to “Celebrate BIG MOMENTS” — like this one!). Cheers!